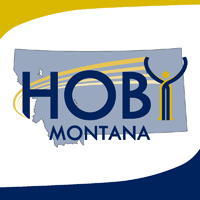 Montana HOBY 2018 is being planned and we will update you on the time and place as soon as we can confirm them. If you are registered to attend MT HOBY this year please make sure you fill out the Pre-Seminar Materials (PSM). The PSM is not currently available for the 2018 year. We will post a link to them as soon as they are ready. Not sure what to pack, check out our suggested packing list. Have other questions about Montana HOBY, check out our FAQs. If you are a coming to MT HOBY as a volunteer please make sure that you have submitted your application at HOBY.org.